Glitch art is not an accident. NEW MEDIA LIGHTNING TALKS HIGHLIGHT: DANIEL TEMKIN ON “ALGORITHMIC ART” posted by Sid Branca on Feb 15, 2014. Image from her article. When did this happen? Feb 28, 2014. Tagged with algorithm, glitch art. 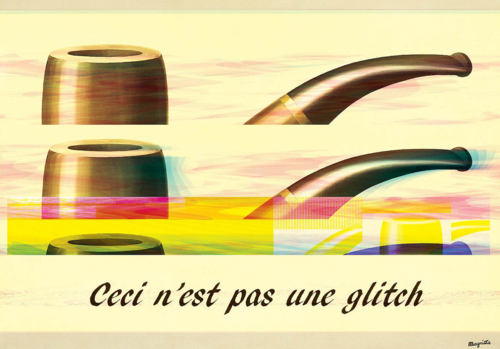 Comments Off on Glitch art is not an accident.